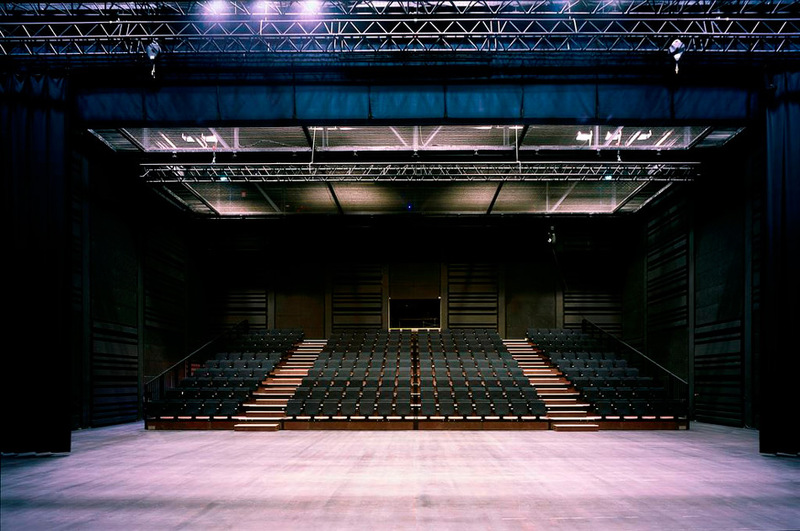 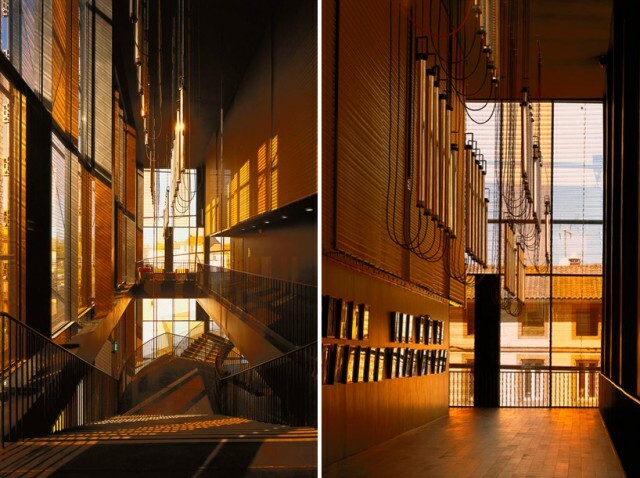 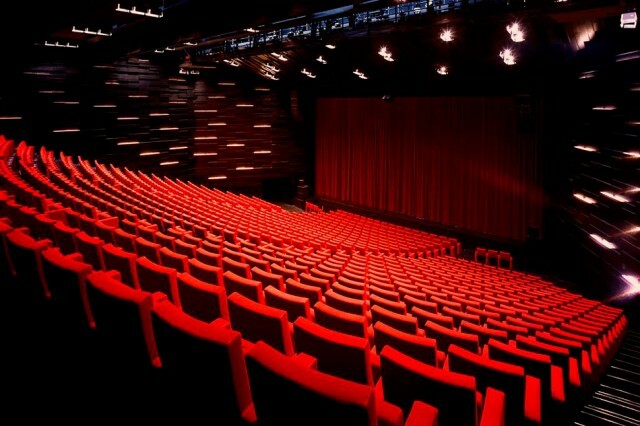 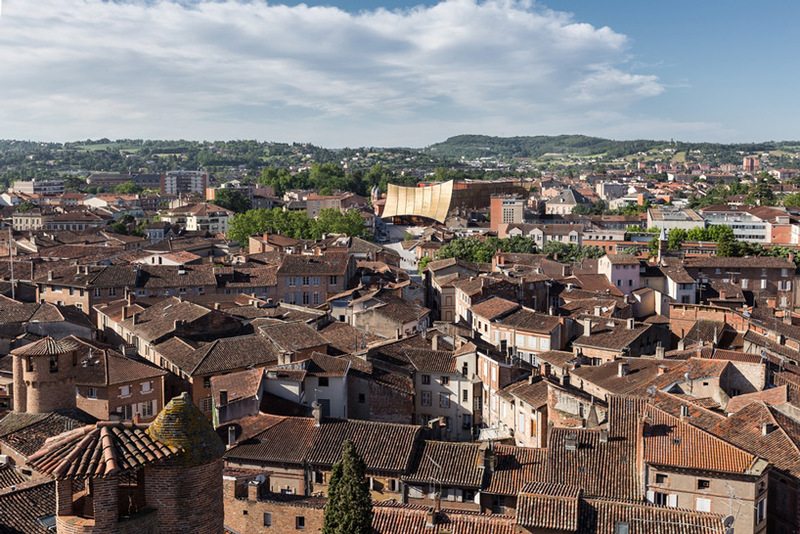 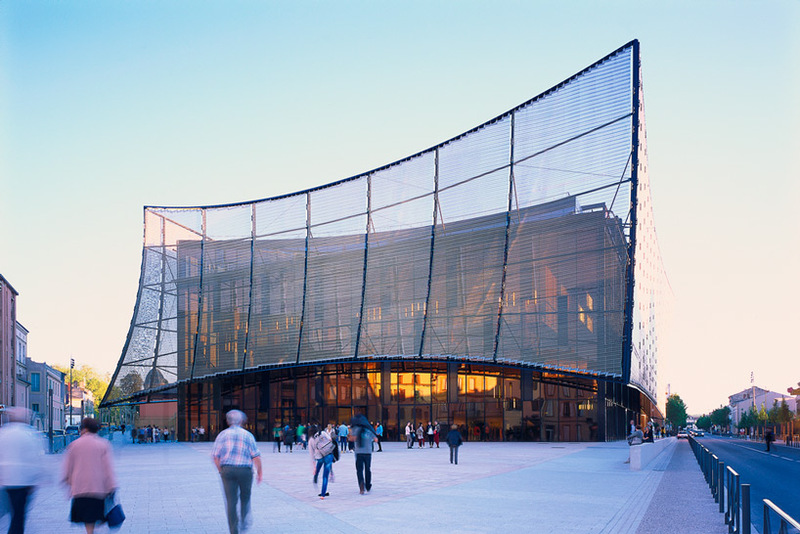 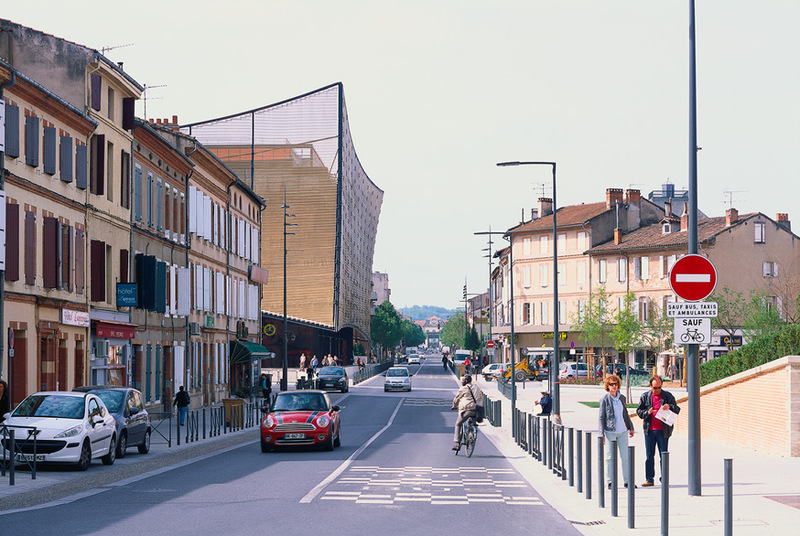 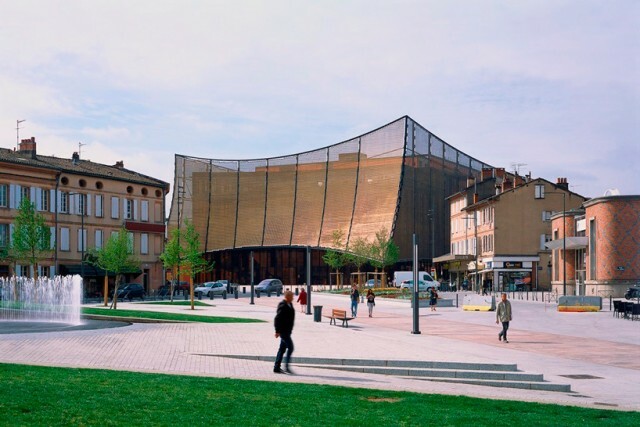 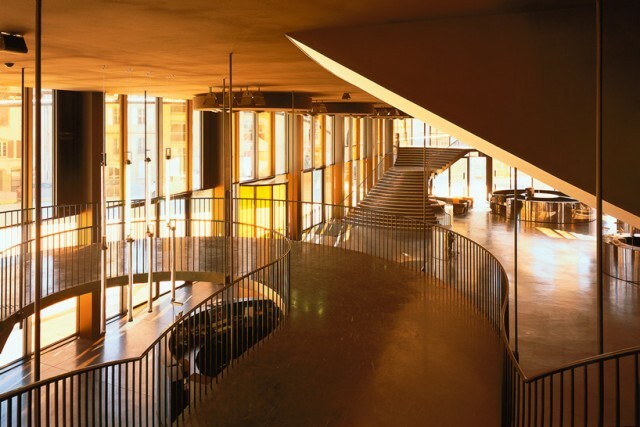 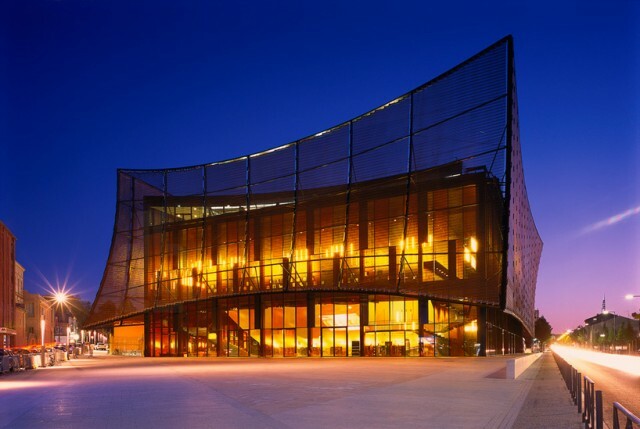 The ‘Albi Grand Theatre’ has been realized following a winning competition proposal in 2009 by Dominique Perrault Architecture. 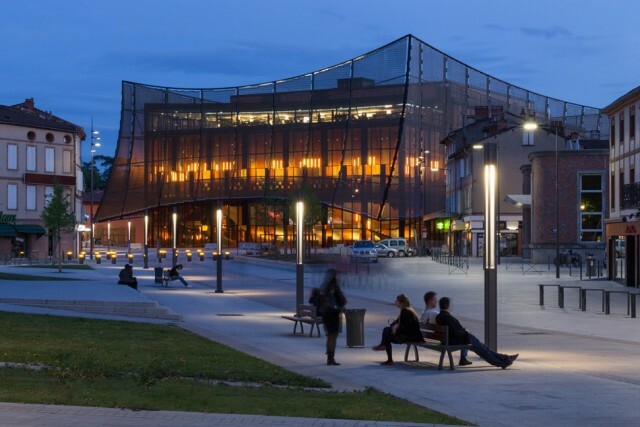 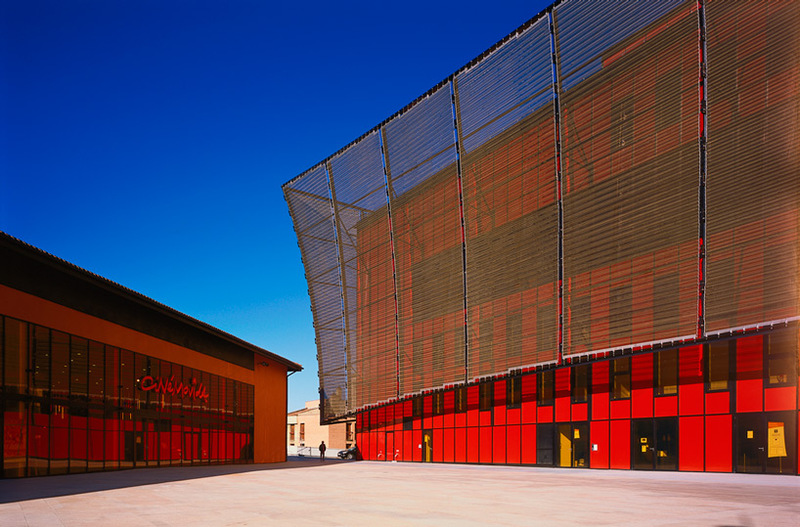 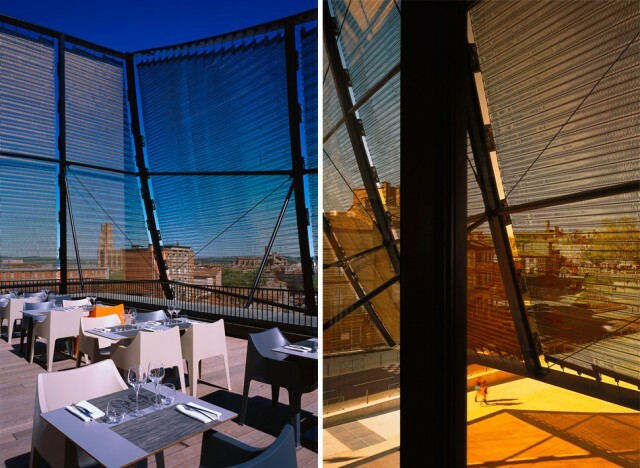 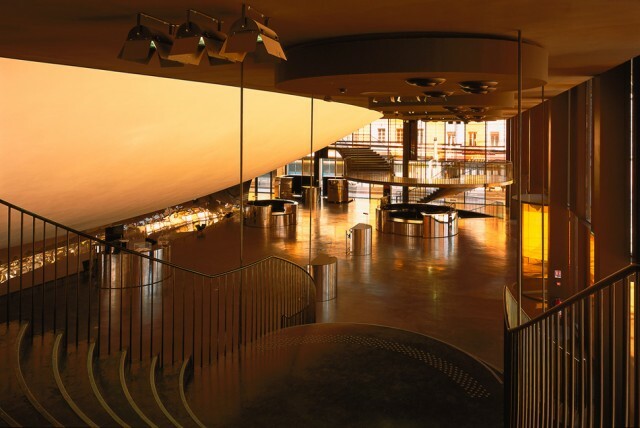 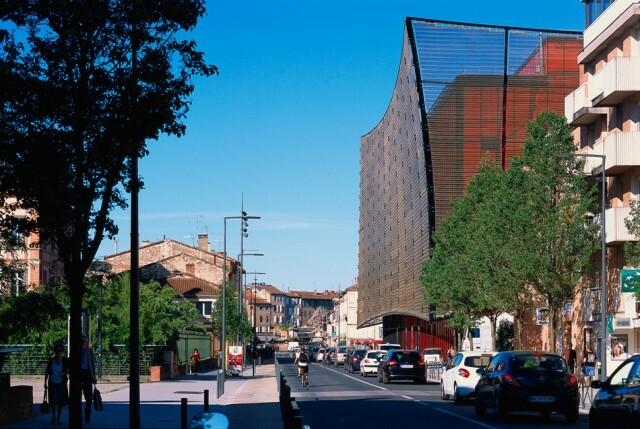 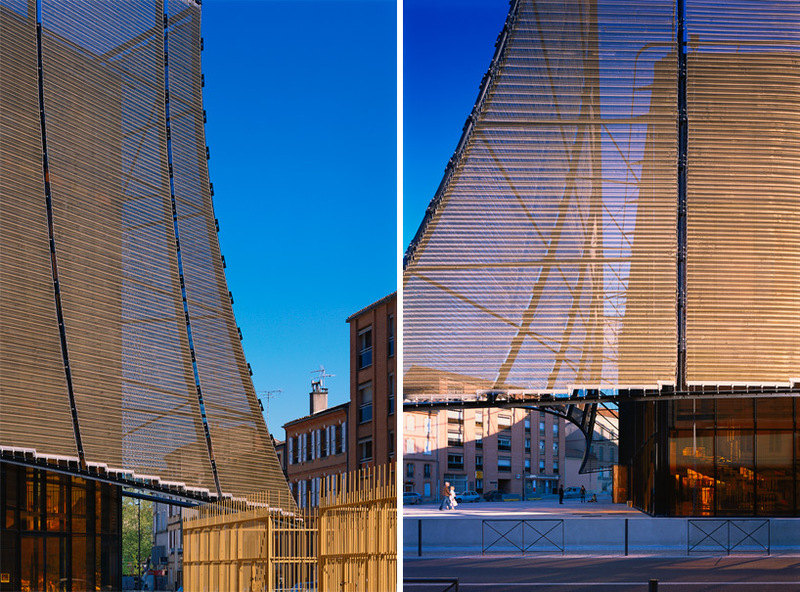 located in the historic center of a southern french city, the stable rectilinear building is juxtaposed by a dynamic and light weight copper mesh which wraps all four elevations, while lifting toward the two public plazas to create its main entrances. 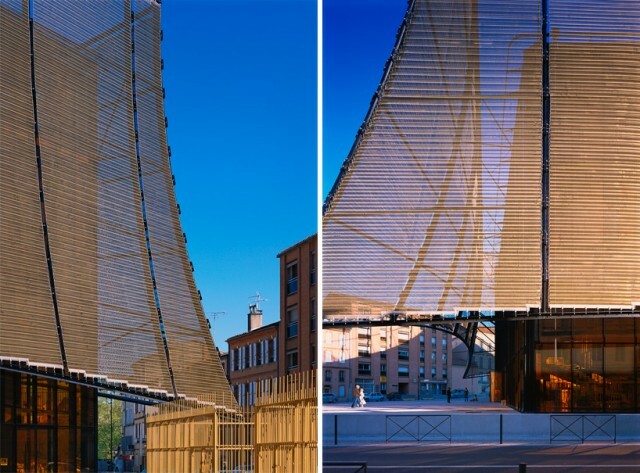 this metal rain screen visually dresses the structure and protects it from environmental forces. 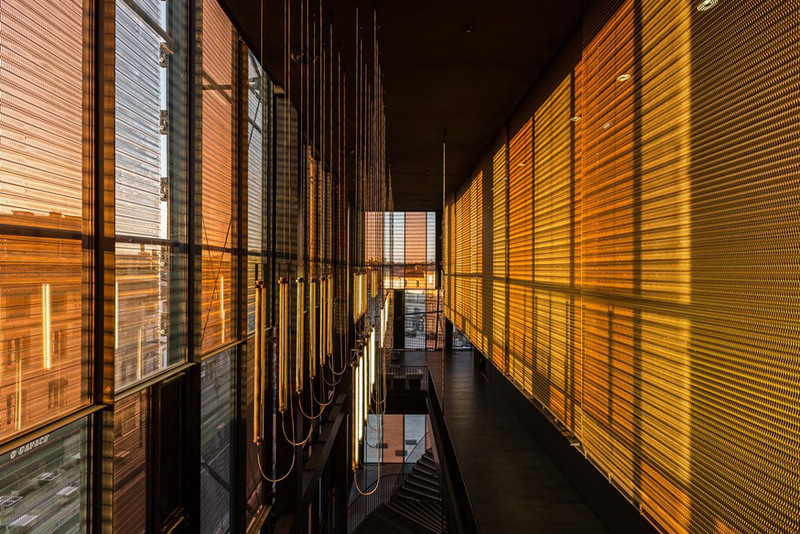 Careful attention was given to the urban implications of the facility’s addition to the historic city fabric. 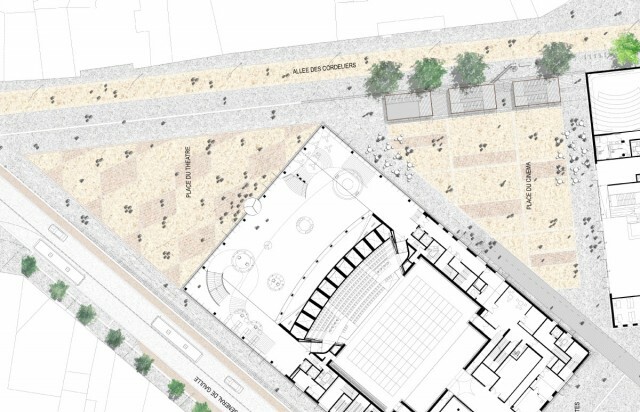 A pedestrian corridor bounds the north side of the site, and accesses various cultural institutions including museums, a park, and a prominent church. The rectilinear building volume is oriented in regard to its main adjacent road, général de gaulle avenue. 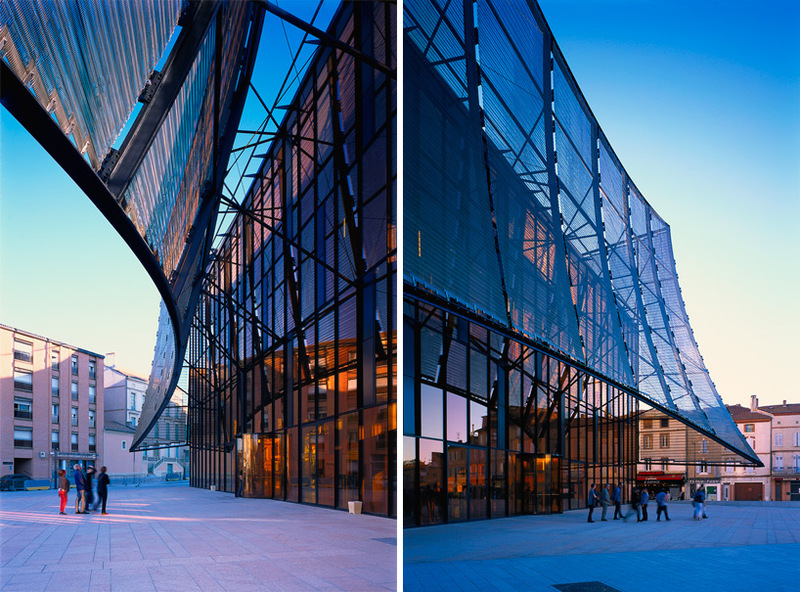 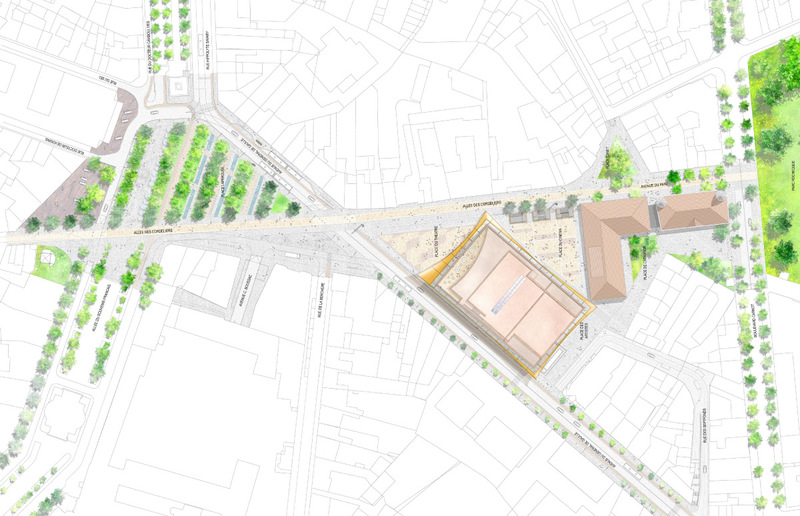 This move creates two triangular outdoor spaces facing the ‘cultural alley’ and the grand theater’s main entrances. Rooftop terraces allow for views of the city context. 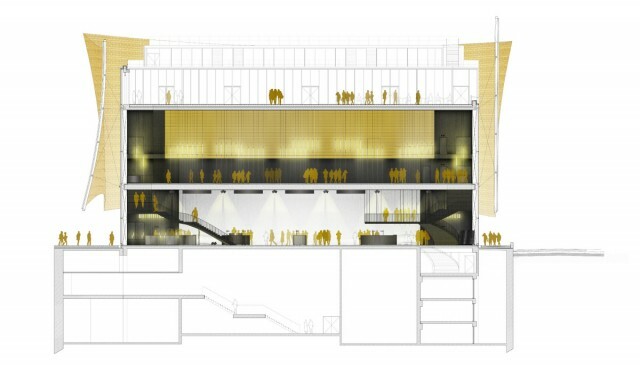 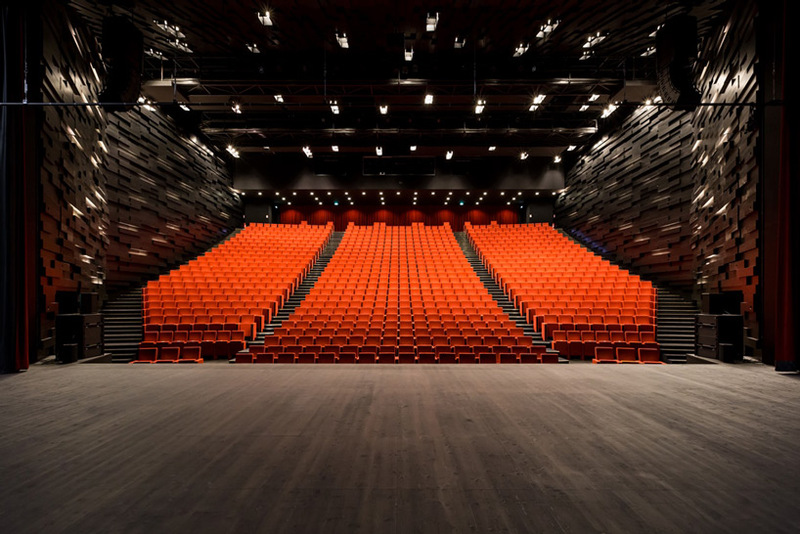 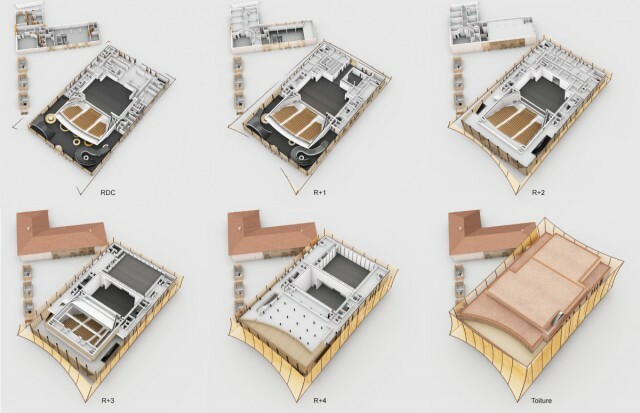 The building’s program attempts to be simple and compact, and prioritizes the 250 seat grand theatre and adjacent public outdoor spaces. 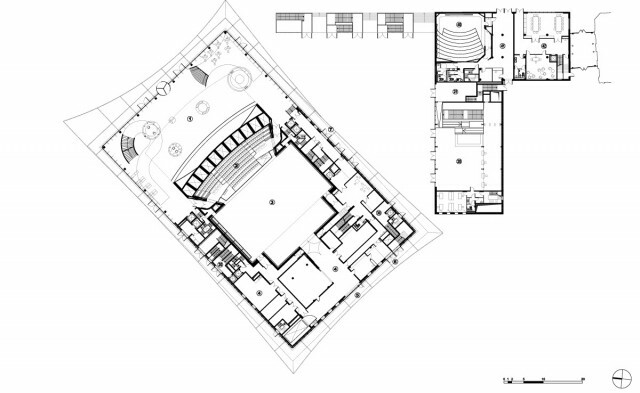 The facility also includes a movie complex of 8 movie cinemas and an underground parking garage.